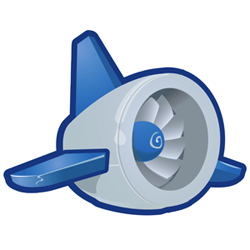 Here’s a juicy rumor (if you’re a geek, this is good stuff): A source tells us that Google AppEngine, a platform for building and hosting web applications in the cloud, will begin letting developers write applications in Java in the near future. Until now only Python applications were supported. The announcement should come at the Google I/O conference in late May. Java applications are extremely popular, particularly for business applications, and it is one of the internally supported languages at Google . In fact, late last year a startup called Stax Networks launched that billed itself as an “AppEngine for Java.” Don’t feel too bad for the startup, however, they’ve said from the beginning that they expected Google to enter the Java market sooner rather than later. Java continues to be one of the most popular programming languages, and is a natural next step for Google. And AppEngine has been a highly successful product, at least from a press standpoint – the Obama Administration has embraced it along with all things Google.